Yup np. Couldn't have done it without the scans. Thank ctozzi for taking the time out of his day to do it. Does anyone know how to do the halftone for the gradient background? I can't seem to get it right. halftones are generally generated in the screening process when making the films. so for graphic work like this Ill be using an ilustrator plugin called phantasm to emulate that. which is why I suggested having the cabinet in a vector layer with the added cabinet bleed. But alittle more time consuming and harder to create a dot pattern that changes this way. I see. I'm not familiar with vector layers. :'( I just did the background as a gradient. As for the outline of the cabinet I wasn't sure how to "add" to the outline of the cabinet and did the gradient and then just do the outline where you wanted it as I didn't know how much more should be added. However I did make the canvas a little larger to give some leeway with the spot where johnny's leg is extended the most. As is it would have been a perfect fit and no room to tuck it under the t-molding. I then moved johnny and the dragon back to where he originally was by measurement of the original document as well as the midway logo and the registered trademark logo. I straightened up all the letters so they are perfectly straight and I finally fixed the white outline of the dragon at the top of the art. The only thing that would need done on your end is pretty much the vector layer, bolts, and the outline of the cabinet and flipped and I guess it should be done. I want a screened cp art from you too. lol Can't get much better than that! Do you know when the CP front and sides will be done? I can't wait to see pictures! will need to to a test print to see how it looks of both the cabinet and a seperate Test print of Johnny to see what if any color correction or adjustments may be needed before assembly. Very nice. I've been trying to upload this thing to how many different places for the last 4 days or so so I can give it to you but it keeps failing. The lighter red part you have with the halftone seems to be a little off from the original. Not sure if you can change that or not. The top looks perfect though. I looked very close to my arcade machine and it seems half way through the halftone changes up. Here is a sample of the halftone from 1 of my unfaded scans with an idea of the halftone. for example the screenshot I posted is the same red I did the test prints of on the cp art previously posted. The halftone. The dots will prob be so small it would be hard to tell from a distance. Didn't mean anything discrectful. Hope you didn't take it the wrong way. this helps color matching and other details in the final print. Ya I was born in 86 so I didn't come up in all the awesome arcade days and GI Joe cartoon. Although there were still some good shows and arcades prob nothing like back then. I'll personally never know. ok reassembled the elements and loading for test print. These test prints are pricey and wont be doing many. but will need to see what the colors look like and how the elemnts all come together. -Cleanedup up Johnny raster with bolt holes removed. OO I wish I could make it bigger! LMAO Well it looks great from what I can tell! Good luck on the test print! Did you add 1-2" bleed on the back of the artwork? If the back didn't have a bleed it would be easier to align the artwork right? Can't wait to see a test print! Ouch. Can't wait. Good luck with the test prints man. The first test print ran @60% size mainly for checking details and color. WOW the prints look great. Is it me or does it look like there are lines on the dragoon? Is that from the printer or is it just from the file. Wow it looks awesome! I see what you mean with the halftone. Like the dots are bigger than they should be? I think the color of Johnny looks great now! OMG! This is looking wonderful! If you get this spot on, people are not going to be able to tell a restored cab from an original, lol! Excellent man! You know the 2 things that did catch my eye was the weird color on his stomach and the colors on his chin and cheek. And I never could get the orange on the dragon tail that was faded. The red looks darker in person the camera and the white vinyl make it look brighter than it really is and yes correctly the halftone will make it appear darker as well. odd on that again in person it dosnt look nearky as RED as it does in the pics but not as tan as it should be either. I darkened up those areas alittle and will try result on next test. Top of the cabinet? or are you just refering to the color issue in Johnnys face? working on correcting the halftone now hopefully will have something to show this weekend. I gotcha. But find that very hard to believe. over the red. So unless your saying its marron from top to bottom its not possible. but without having a piece of that art on hand I cant say for sure but the majority of this scan tells me its just a Black halftone. and the small bit of red underneath the "heavier" sections of halftoning may give you the illusion of a darker red. which is why those letters look so "rough." thats why MsPac pinks are so faded and Tapper sideart turns green. (you need red to make brown). What I am seeing on my cab on the non faded side compared to the pictures of your print is it looks like there are more of the red "dots" packed closer together in the top area, making it not appear as black but a dark red color. Hope that makes sense. Just trying to be helpful. Sorry if the colors aren't quite right. I scaled the last 3 images, so it changed colors a bit. It's definitely not black. I'm 100% sure of this. Here is a scan of my unfaded side art. I did a test print of the bottom from the raw scan to confirm dot size at the bottom. can you upload that scan for me? asuming its full scale Ill do a raw test print the original scan is missing most of the red. just to be sure Im not missing/seeing something. showing these tiny dot details on screen dosnt really do it justice. Ya I'll upload the scan for you. I was just saying it didn't seem like solid black from the screen shot I seen of yours but since it was low quality I'm not sure if you had it solid black or not. 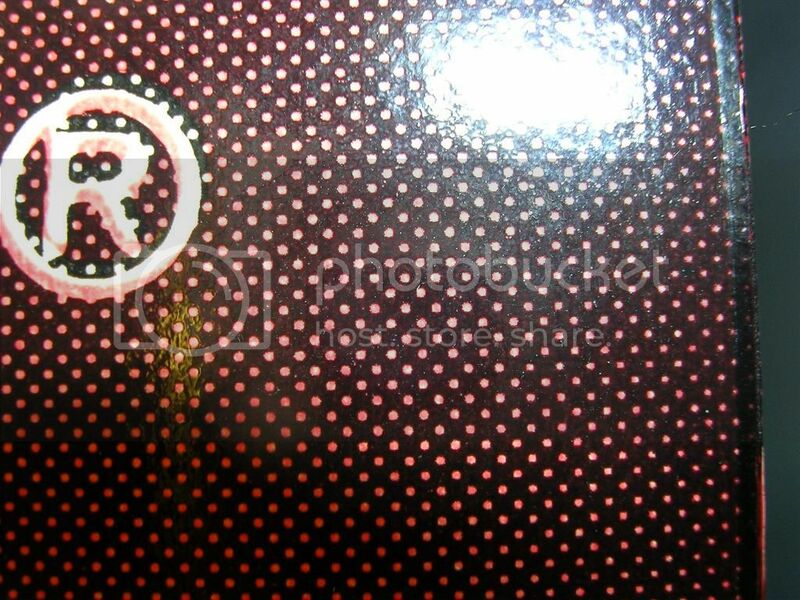 To me what it seems like it was the solid red all the way through and they put a light layer of black over the red letting the red poke through giving it that maroon color and packing in the halftone the higher it got. It's what it looks like at least but I also have to mention this. It seems that there were a few different places doing the screen prints because MKFan4Life's halftone looks different from my cabinet halftone. 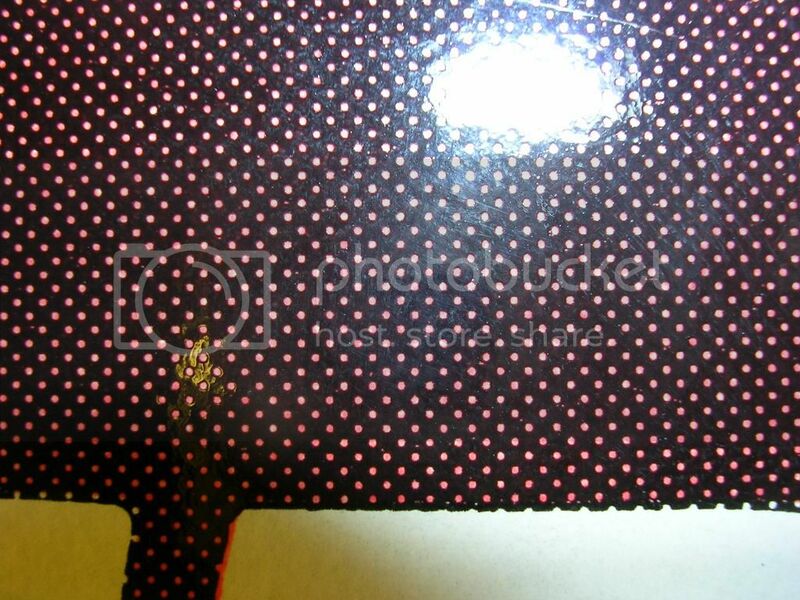 I'm also attaching some pictures of the halftone up close on my faded side to see the halftone better. 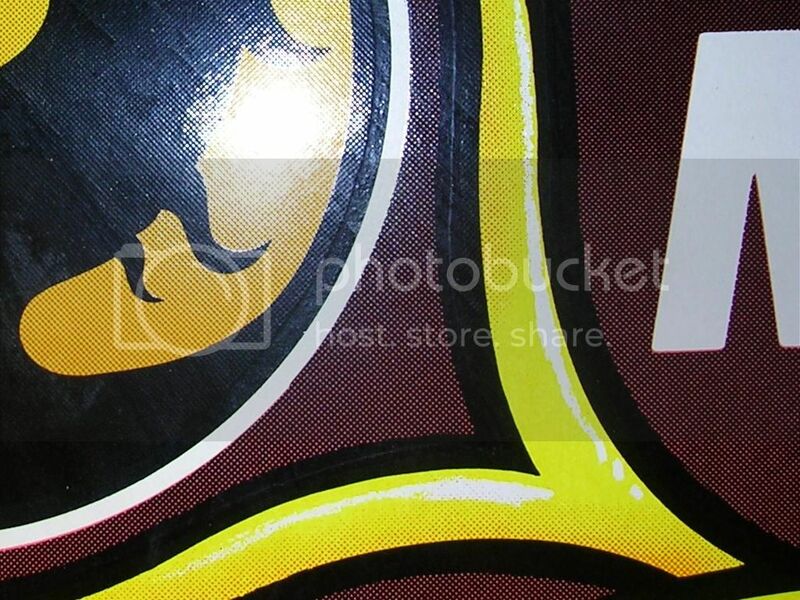 It appears that if you kept the halftone on the underneath of dragon with the white boarder around it it may be good? But instead of it fading to straight black the halftone is packed together more. And I def see dark red poking through on my cab where you have black. Like it was translucent black if that exists? 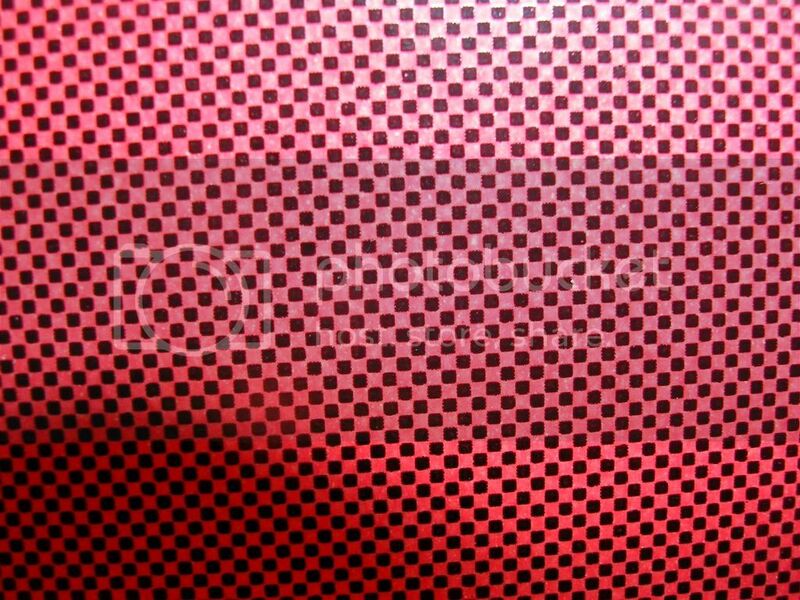 And the bottom half of the cab the halftone dots are very tiny. It's just so hard to explain in words ya know? but the halftone in my print does need work and that will be corrected as well. and halftone is entire cab no solid at the top. but you cant really compare both sides. and really NO 2 prints of any SILKSCREEN are the identical. even with the same screenprinter. I ended up editing my post above your last one so make sure to check it out. But ya I see what you mean. I also seen in a video of how they get it on the wood. Looked like a hydraulic press was used for applying it to the wood for it to adhere better. And it looks like they then cut the wood out with the artwork already applied. Think it's done differently now though? Only thing I can say for sure is that looking at my non faded side in person, the perceived color when looking at the top of the cabinet is a dark red. I think the only reason that it appears that way is because there are more of the red dots packed in tighter together than what your first print looked like. and maybe I was making it more confusing than it is, I know the actual red color is not changing its just the size of the dots changing. I am not a print master or anything, the difference is either the size of red dots on there are more of them on an original cabinet which makes the color not seem black at the top. These are so close to being perfect so I hope I am not being ridiculously picky. I will say all the work you are doing is amazing and thank you because I will be purchasing a set when you are finished. Do you see ANY red poking through at all thought where he has black at the top in the halftone on your cab or is it straight black? A good picture if you can may help. If I had the ability to scan a section of my cabinet to show this I would do that, unfortunately I do not. Right but what I was asking was at the top in between the red dots where he has black is there a darker red poking through or is it black? Not to mention the white border around the dragon is too thick and close to the dragon tail which makes me think that was edited after out of my hands. The white border is half the thickness of the black border. Not even half it seems. Here is the white border version I sent with measurements where the old border used to be. My fault, definitely misunderstood you. Checking the cabinet up close and personal, It does appear the black is more of a dark red or there is some coming through but Im really not sure if thats my eyes playing tricks, Not fully understanding the print process is probably causing that. It's almost as if it's the same red underneath but in the part I pointed out seems like there is a translucent black over the red to give it that dark maroon right? Page created in 0.412 seconds with 60 queries.